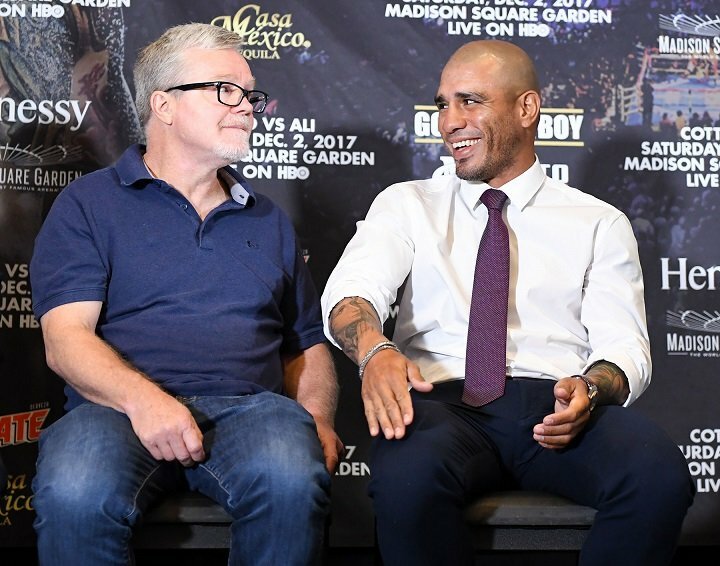 Taking place at the iconic Madison Square Garden, Cotto will fittingly bring down the curtain on an illustrious career at the world famous arena which has become a second home for him having fought there on numerous occasions. The legendary Cotto, a future Hall-of-Famer, has held world titles in the light-welterweight, welterweight, light-middleweight and middleweight divisions. The native of Caguas, Puerto Rico has faced a who’s who of elite world champions including Demarcus Corley, Paulie Malignaggi, Zab Judah, Shane Mosley, Antonio Margarito, Ricardo Mayorga, Sergio Martinez and Canelo Alvarez. He will now be looking to go out in style live on BoxNation when he faces the skilled 29-year-old Ali, who is hoping to crash the party and make it a nightmare farewell for the veteran superstar. In his last outing, Cotto defeated the tough and determined Yoshihiro “Maestrito” Kamegai to win the WBO light-middleweight world title, which he will look to defend successfully in front of a packed crowd of his loyal New York supporters before sailing into the sunset. Ali, a 2008 U.S. Olympian fighting out of Brooklyn who has held multiple regional titles, will get his second shot at a world title after earning wins over top welterweight contenders including Francisco Santana, Luis Carlos Abregu and most recently Johan Perez.